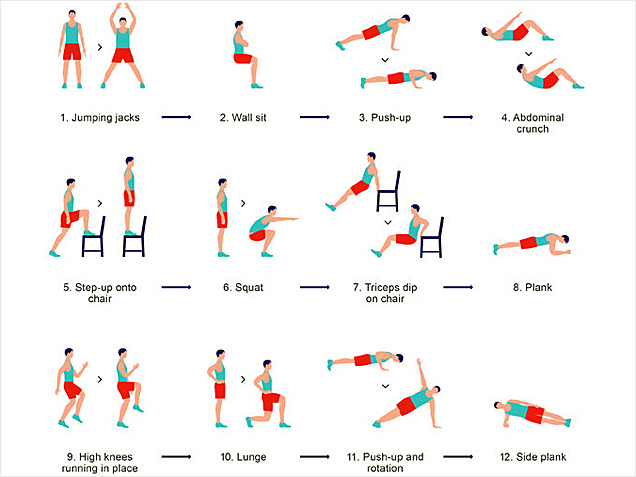 Start your day with these (not-so easy) workout poses (image not mine). I had difficulty doing the push-up and side plank but the rest was doable. I can only do five counts for each pose for now. It’s exhausting but I had fun. This entry was posted in Exercise and tagged 7 minute workout, 7 minute workout poses, exercise indoor, indoor exercises on August 8, 2013 by Yami.